• Colts alum performs on "American Idol"
Gregory “GM” Kuzma has been named the new Director of Operations/Chief Operations Officer for Ascend Performing Arts, the parent organization of the Blue Knights. In the role, Kuzma will oversee the operational and logistical support of all Blue Knights ensembles, education programs, show events and entertainment performances. Blue Stars are recruiting volunteers for Wienerfest on Saturday, May 7, in La Crosse, Wisconsin. 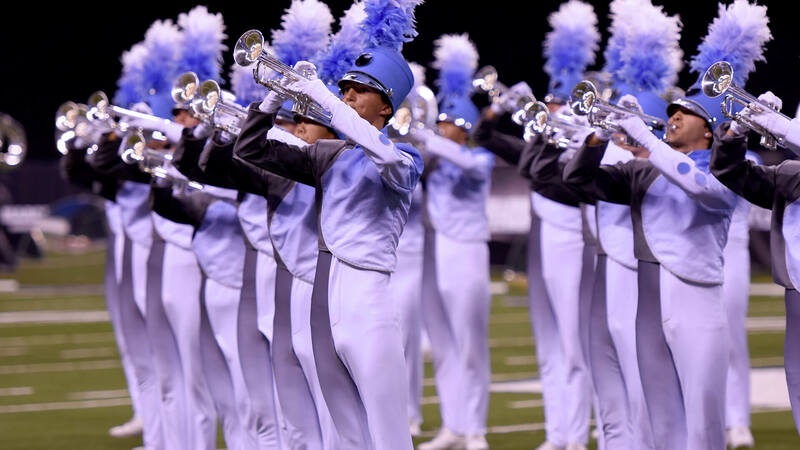 Registration is open for Bluecoats’ “The Blue Way” educational summer camp June 4-5 in Granville, Ohio. The Cadets are accepting nomination letters for the corps’ Hall of Fame class of 2016. Carolina Crown’s 2016 Family Day and Preview Show is set for June 18 at Gardner-Webb University in Boiling Springs, North Carolina. A Colts alum performed last week on “American Idol” with previous winner David Cook. Discounts are available to school groups wishing to attend the Crossmen’s 2016 “eXperience Day” educational event on June 17. Mandarins recently received a $7,500 grant from the Point West Rotary Club to put toward the corps’ uniforms. Pacific Crest recently received a grant from the Employees Community Foundation of Boeing California. In recognition of the corps’ 60th anniversary, Phantom Regiment posted its latest #60for60 alumni spotlight. River City Rhythm gears up for its April rehearsal camp with this promo video. Members of Spirit of Atlanta recently helped DCI Hall of Fame member and Spirit founder Freddy Martin celebrate his birthday.